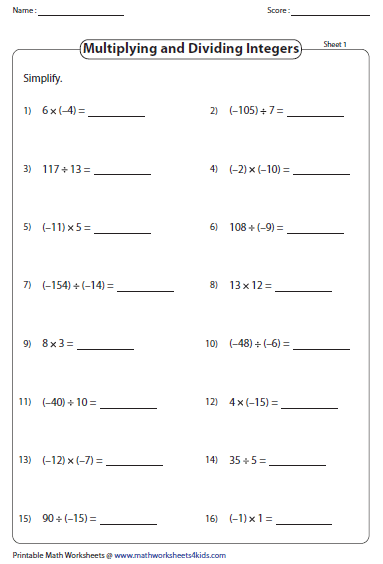 These printable pages contain worksheets, which emphasize integer multiplication and division. 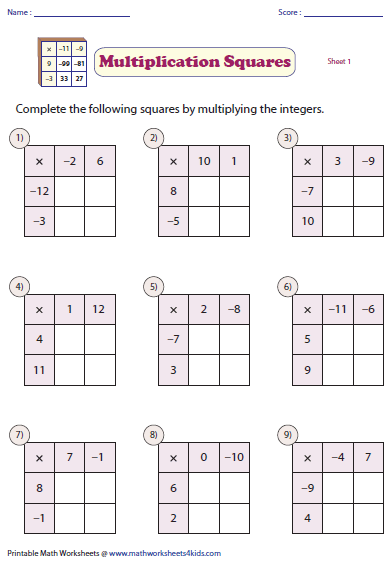 Practice pages here contain exercises on multiplication squares, in-out boxes, evaluating expressions, filling in missing integers, and more. 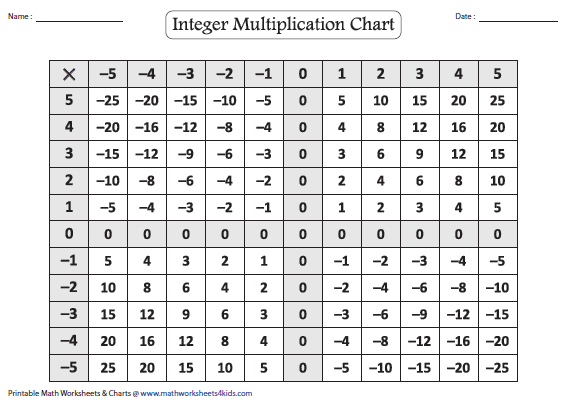 These chart are prepared in such a way that students learn to multiply integers following the multiplication sign rule. Print and practice the blank charts. Multiply the integers to find the product. 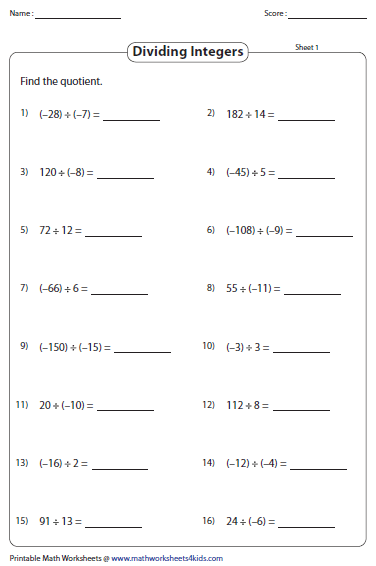 A total of 48 problems are given in these integer worksheets for practice. 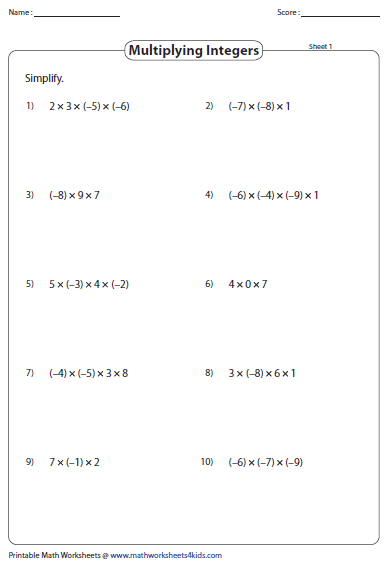 In these worksheets, 2X2 and 3X3 multiplication squares are given. 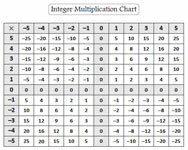 Multiply the integers in the rows and columns and write the products in the squares. Find the product of the integers. Apply the multiplication sign rule. Each worksheet consists of ten problems. 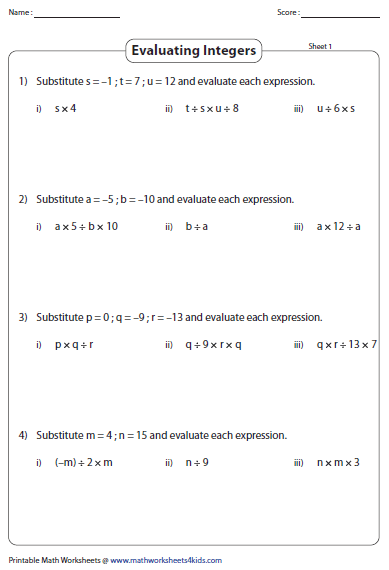 Perform the division operation on the integers to find the quotient in these three worksheets. 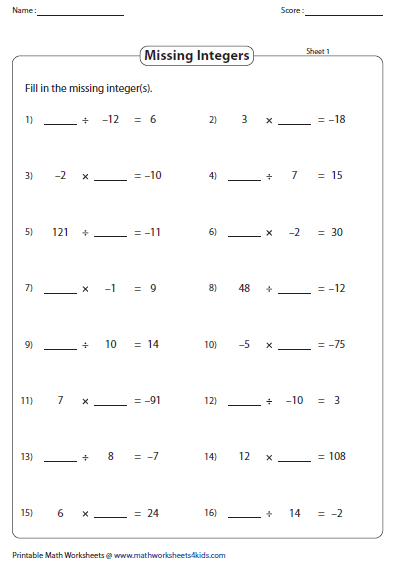 Simplify the integer equations by performing multiplication and division operations. Find the missing integer in each equation. There are 16 problems in each worksheet. 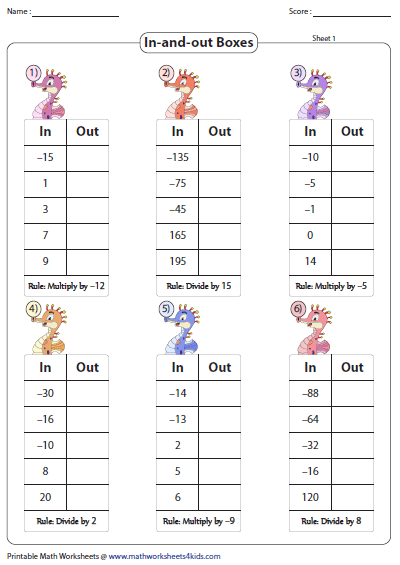 Fill in the in-and-out boxes according to the rule mentioned in each problem. There are six rules given in each worksheet. Evaluate the expressions by substituting the values in the variables. 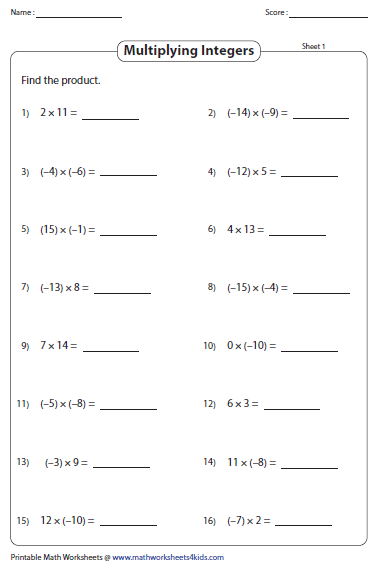 Each worksheet contains four problems with three expressions each.